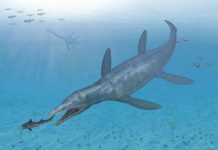 Futabasaurus is an extinct plesiosaur which lived approximately 75 million to 65 million years ago during the Late Cretaceous Period. It was first discovered in 2006 in Fukushima, Japan by a Japanese high school student named Tadashi Suzuki. 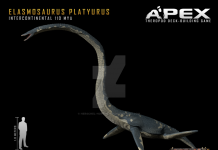 This plesiosaur was named Futabasaurus – a name which means “Futaba lizard” in Greek. 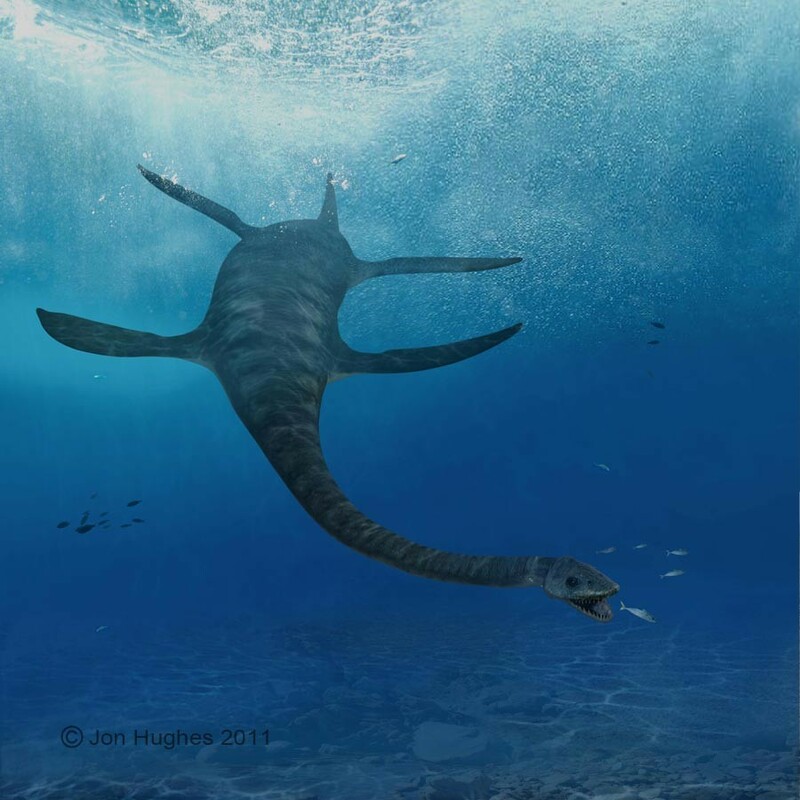 While most people think of the mythical creature Godzilla when they think of Japan, however, the real and official plesiosaur of Japan is Futabasaurus. 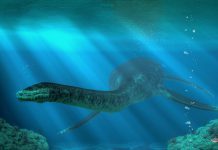 This animal was 20 feet long and weighed approximately 3 tons – or 6,000 pounds. It lived in the oceans of eastern Asia and lived off of a diet fish, making it a piscivore. 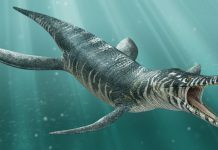 Futabasaurus pictures show this animal swimming peacefully through the ocean as if it didn’t have a care in the world. However, that probably wouldn’t have been the case. The fossils of these animals clearly show bite marks from some of the prehistoric sharks which existed at the time. Which meant that this animal was under pressure to avoid predation for most of its life. Hardly a peaceful and idyllic scene, to say the least. 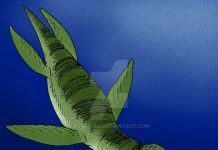 One of the most interesting facts about Futabasaurus, however, is that its eyes and its nostrils were far apart from each other. 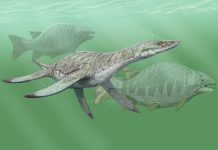 Paleontologists believe the reason that was the case is so it could keep its nose above water while it hunted for fresh. This would allow it to breathe while it hunted. Paleontologists believe that Futabasaurus was driven to extinction by constant pressure from predators such as sharks. This constant attack by sharks, combined with changing climate conditions, was probably too much for this animal to endure. 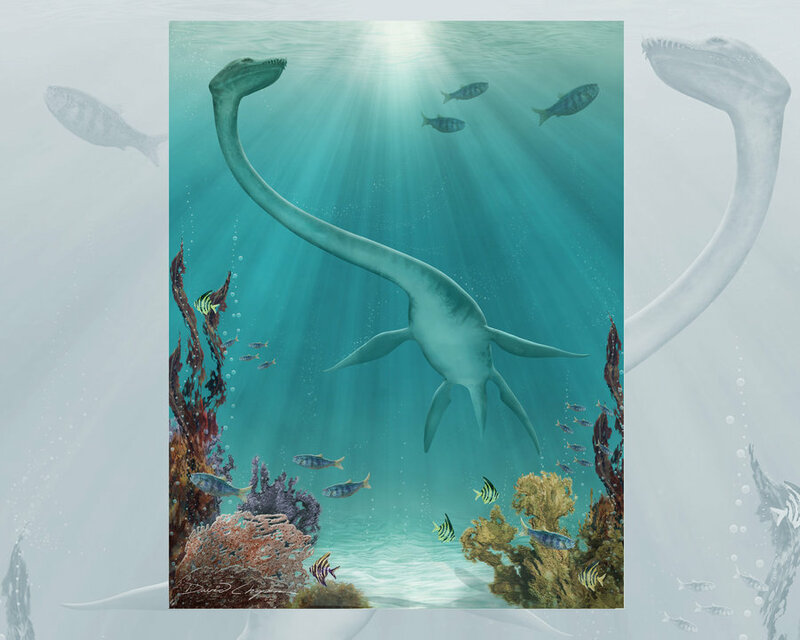 About 65 million years ago, about the time the dinosaurs went extinct, so did this plesiosaur.